This photograph from the George Kelly Estate shows the 1922 Herb Hunter All Stars with all hands on deck. Seen in this photo are such stars as Casey Stengel, Waite Hoyt, George "Highpockets" Kelly, Herb Pennock, Luke Sewell, Bibb Falk, Emil "Irish" Meusel, and Herb Hunter and Fred Lieb, who jointly led this team to the Far East. This tour was Hunter's second. In 1920 team he led a team that consisted mainly of PCL players and non-star Major Leaguers. Shockingly, it was this 1922 team above that suffered the only Major League loss to a Japanese team, despite including a bevy of Major League stars. Indeed, no less than Waite Hoyt gave up nine runs on November 19th 1922 to the Mita Club, comprised of Keio University alumni. His pitching counterpart, Michimaro Ono kept the All Stars at bay, limiting them to three runs. Other research indicates that the ship in the photo above, The Korea Maru, originally named The Korea, was built in 1902 for the Pacific Mail Steamship Company. The 11,810 ton, 572 foot, 16 knot Korea was one of the largest and fastest joint passenger and cargo vessels sailing the Pacific. In 1916 it was sold to NYK Line of Japan, owned by Nippon Yusen Kaisha (translation: The Japan Mail Steamship Company), and renamed the Korea Maru. The ship's home port was in Yokohama. By 1935 the Korea Maru was scrapped. Some accounts have it being "laid up" in 1930 and scrapped in 1934. 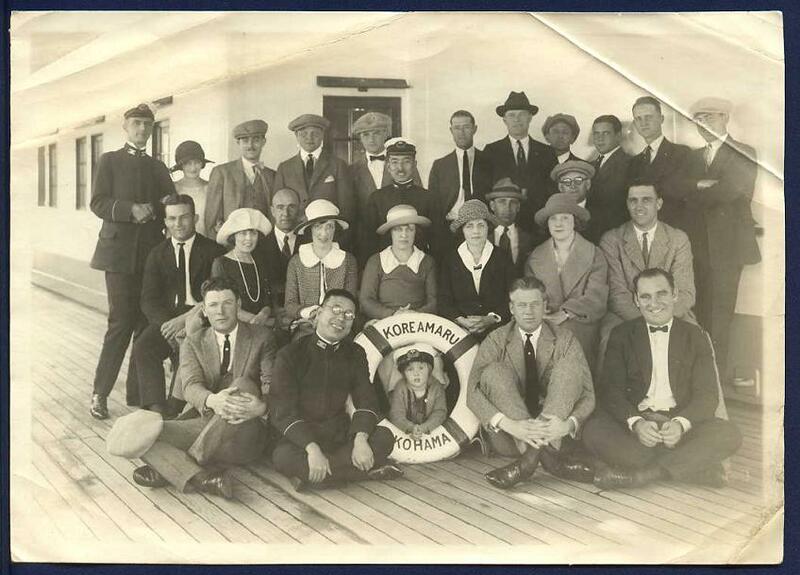 In either case, any photo of passengers aboard this ship can be definitively dated to 1916-1930. 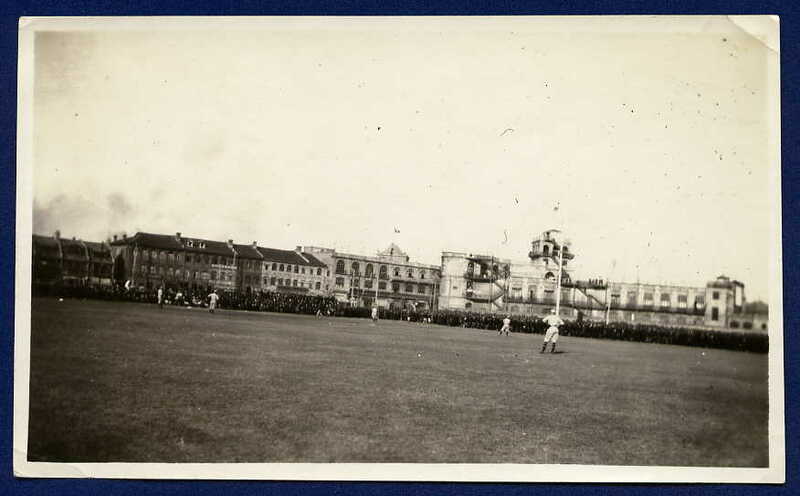 The 1922 Herb Hunter All Stars can also be seen on field in the photograph below, a companion to the group image ship-side. For more information on the NYK Line, visit the Maritime Timetable Images ' NYK Web Site. 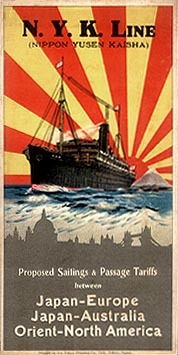 VISIT THE NEW AND IMPROVED 1922 TOUR OF JAPAN PAGE !